Jose Altuve, 26 years old, has a very good chance at winning the American League MVP Award in 2016. So how in the world could a potential MVP Award winner be undervalued? In 2013, the 5’4 Houston Astros’ second baseman signed a four year/$12 million contract. The contract also has a $6 million fifth year club option and a $6.5 million sixth year club option. Since signing the contract in 2013, Altuve has earned the honors of being an American League All-Star in 2014, 2015, and 2016. I think it’s hard to say a player is undervalued if they are still under team control or arbitration eligible, but Altuve’s long-term contract is way under his specific value. He is one of the best all-around players in all of baseball. He is currently batting .346, with 22 home runs, 95 runs, 90 RBIs, 26 stolen bases, .409 OBP, and a .557 slugging percentage. Out of all players in baseball, I can’t think of any other players who put up similar all-around numbers outside of Mike Trout and Mookie Betts. Altuve also won a Gold Glove award last year, which shows his value is much more than just his bat. As good as Stephen Strasburg was in the 2nd half of the 2015 year, ( 6 – 2 with a 1.90 ERA post ALL – Star), and so far this season ( 3 – 0, with a 0.931 WHIP and a ERA of 2.17) he will be a Free Agent after 2016. All young MLB players give some thought to their first trip into the free agent market. However, not all get the opportunity to both experience it and maximize their earning potential with the contract they eventually sign. 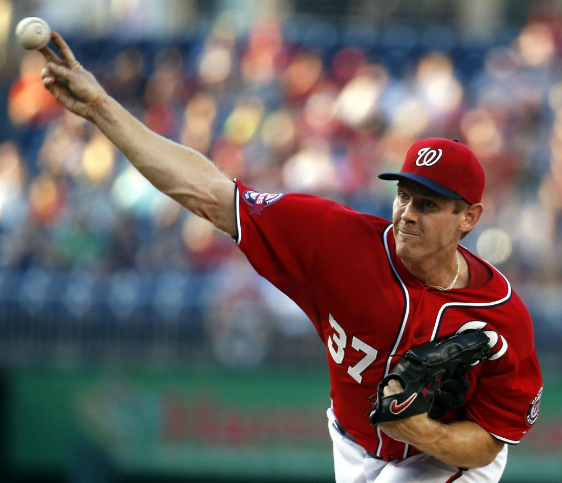 Washington Nationals starting pitcher Stephen Strasburg will get to experience what free agency is like, and it appears a perfect storm is brewing for him in a number of ways to get paid even more handsomely than some originally thought. Despite some inconsistencies, the cumulative numbers have always been there for Strasburg – a decent ERA, elite strikeout-to-walk totals and for the most part, victories. Along with having Scott Boras as his agent, there was little doubt a pitcher with this much raw talent and “results” at the big-league level would get a gaudy, nine-figure contract, but would he truly be able to maximize his earning power? Past the CLICK TO READ THE REST OF THIS ENTRY are episodes 70 – 100 of the Sully Baseball Daily Podcast. 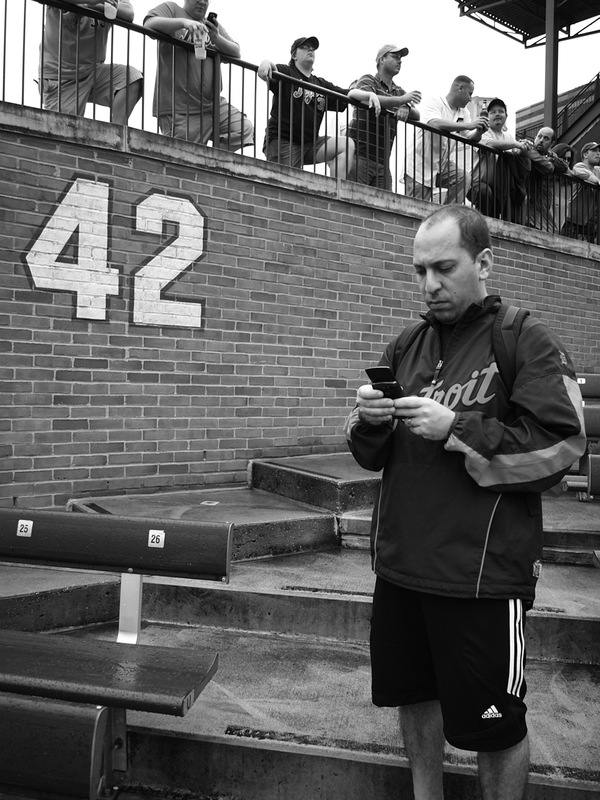 Sully starting posting his daily podcasts at the mlbreports.com on Feb.6, 2013. So we will add the dates between Oct.24, 2012 and Feb.6, 2013 in case you missed any of his awesome 1st 105 episodes. But we will also archive all of his podcasts to date (in coming weeks) so they are easily accessible for all his fans. Do It Cashman/Rizzo: Strasburg For Andrew Miller And Brett Gardner! As good as Stephen Strasburg was in the 2nd half of the 2015 year, ( 6 – 2 with a 1.90 ERA post ALL – Star), he will be a Free Agent after 2016. The Nats need a leadoff man, and a lockdown Closer- after they potentially trade attitude problem Jonathan Papelbon. It makes for both clubs to pull the deal off. There will also not be any recourse action as they are all set to switch leagues. The trade would see the Yankees flip leadoff OF man Brett Gardner and Closer Andrew Miller in return. Both of those 2 Yankees have 3 years left on their current deals. After seeing the trade go down for Alex Hicks, I then saw the trade proposal of Andrew Miller and Brett Gardner for Stephen Strasburg. This was inferred by MLB.com columnist Richard Justice. Here are my thoughts on it. This would be a phenomenal deal for both clubs. The Yankees can clear some salary to sign another Starting Pitcher in addition to Strasburg coming in, and the Nats would get their new leadoff man and shutdown Closer. Although there are some things to consider….It looks like the club will go forward with Bryce Harper at CF then. This would mean that Gardner and Jayson Werth would round out the Outfield. I also think the Nationals should include Jonathan Papelbon in this deal – or flip him in another deal to clear a spot for Miller to Close. Straburg will make from $11 – $13 MIL for the 2016 season in his last year of Arbitration before hitting Free Agency – which would equal out Gardner’s salary. Andrew Miller is set to make $9 MIL a year for the next 3 seasons. New York will need to replace Miller in some capacity for sure. Whether that is another late inning arm to set up Dellin Betances – or even sign another Closer would have to be the idea. Miller and Betances were the two best pitchers for the club in 2015. The team would be well served to land the services of Joakim Soria. Kris Bryant is about as sure of a prospect there has been in the last 5 years. 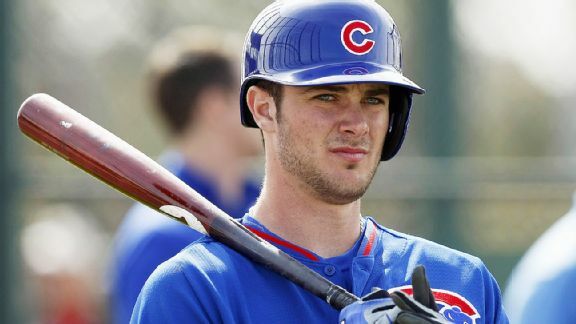 Will the Cubs let him start the year in 2015, or will they send him down until the middle of April to save service time?. The young slugger had 43 HRs in the Minor League’s last year – and has also smacked 6 big fly’s in Spring Training so far. But there are things to suggest that starting him off in the Minors is not such a bad idea. The 23 Year Old is not the slickest fielder, has already experienced shoulder fatigue, and the team will play its 1st 9 games in cold weather too. (Hosting 6 games at home, and playing the other 3 in Coors Field.) But really. he might have sealed his fate for the opener by having Scott Boras as his agent. So the talks continue to mount on the Kris Bryant Opening Day watch. With each passing day he hits a HR, or shows himself ready for the big leagues, the question will become even more serious. But if he is ultimately not pulled up to Wrigley Field on Sunday Apr.5th vs Division Rival Cards, he has no one to blame by himself. By having Scott Boras as his Agent, it has pretty much implanted in the Cubs brass, that the prize prospect will never sign an extension, and when his service time has him approaching Free Agency, he will indeed hit the open market and look for the top bidder. I don’t even blame Boras for this. He is a phenomenal representative of his players, and always seems to get the max dollar for the highest percentage of the time compared to other agents. Perhaps it will serve as a deterrent to future awesome young studs, that Boras has been sticking it to team owners for years. Maybe they should opt for a different agent, as this man has shown his playing cards on too many occasions. The executives all know Boras will lead his client to the open market. One could say that even in the most abysmal of circumstances last year, Davis still almost hit hat total last season, clubbing 26 Bolts in 127 Games Played. Look for him to crush between 35 – 42 HRs this season. The big 1B is among several key figures that are in contract years after the season concludes, including more than half of the Bullpen’s becoming Free Agents following this campaign as well. The Orioles have had a quiet off season, but where that not amount too much in terms of adding talent to their 2014 Roster, a lot of it has to do with some of their players maturing in salary via Arbitration. I am sure there is a degree of urgency for the O’s brass, since they have a plethora of pending Free Agents after this year. The franchise is slated to dole out about $120 MIL in team money this campaign. While that places them in the top half of the MLB, they only register 4th in the AL East. 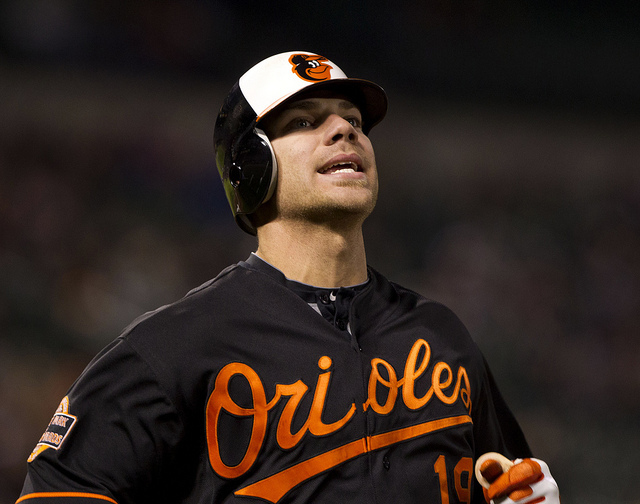 With Chris Davis, Matt Wieters and Wie-Yin Chen all hitting the open market after this season, maybe the club should take a run at acquiring some guys for their World Series plight half way through this year. If those aforementioned O’s aren’t enough, Chris Tillman, Darren O’Day, Bud Norris. Tommy Hunter, Alejandro De Aza, Ryan Webb and Steve Peace are also free to sign with all 30 clubs beyond 2015. Past this campaign the team still has solid building blocks instilled with having Adam Jones, J.J. Hardy, Manny Machado, Kevin Gausman, Dylan Bundy, Zach Britton and Jonathan Schoop under Team Control for years to come, but still the time to strike is right now. 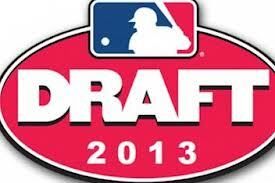 For a Year to Year Breakdown For all of the O’s players salaries please visit here. Could Manny Still Be Manny? 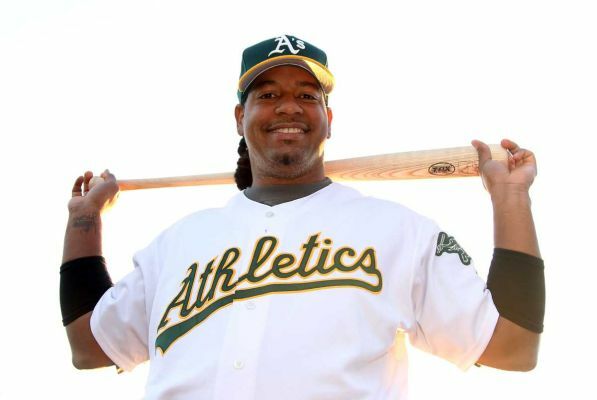 Manny Ramirez was last sniffing around the MLB with Oakland last year in the Minors. Technically, he finished his PED suspension from the year before – accrued with the Tampa Bay Rays. Before that, he was with the White Sox, Wait a second??? When was the last time Manny was Manny on the field? You have to go all the way back to his LA Dodgers days. He was exciting that town like someone named Yasiel Puig is now – batting for a 3 slash line of .396/.485/1.232 in 62 Games Played – with 19 HRs and 63 RBI during the 2008 year Mannywood couldn’t lead the Dodgers past the Phils in back to back years for the NLCS. He then resigned in LA, tested positive for PED use, came back – and was traded to Chicago. 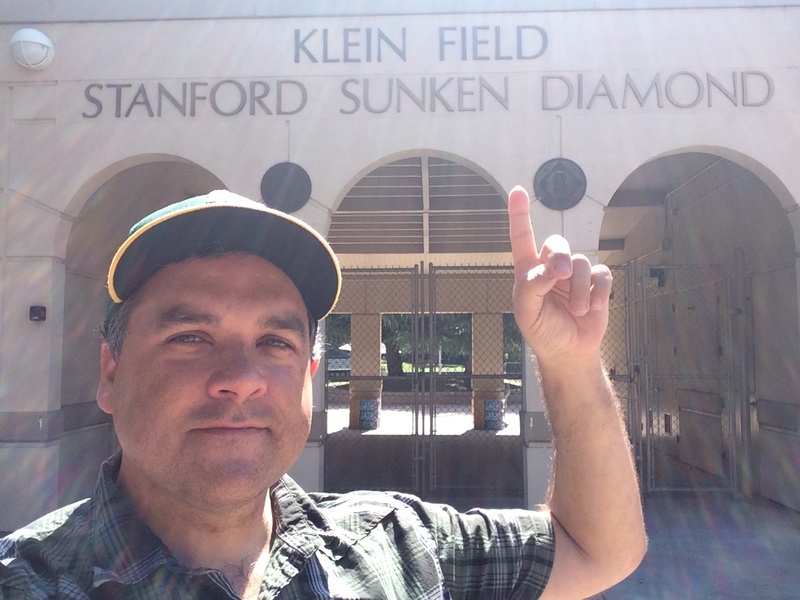 Most baseball fans have spent the first half of the season watching their favorite teams, as well as getting a good laugh out of the constant YouTube videos coming from Taiwan. Manny Ramirez, in his short term with the EDA Rhinos, starred in his own version of Mr. Baseball part 2 as a crowd favorite in the Chinese Professional Baseball League. Ramirez hit 8 Homers, moonwalked to the dugout, and had a hilarious attempt to slide into 2B (and stopped about ten feet short). But the joke was on Texas Rangers fans on Wednesday, whenever Ramirez signed a minor league contract and was optioned to AAA Round Rock Express. 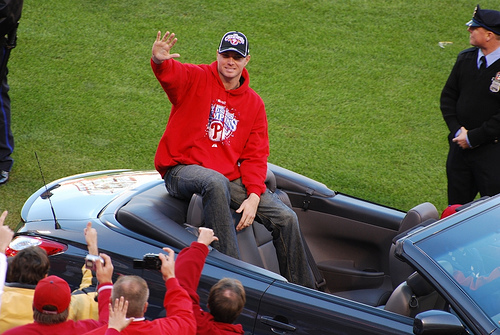 Lohse has had an up-and-down career since making his debut in 2001. He has bounced around cities and has experienced some good seasons, also with some less than impressive seasons. He was a big part in the middle of the Cardinals rotation during their 2011 World Series run – finishing 14-8 while posting a 3.39 ERA. 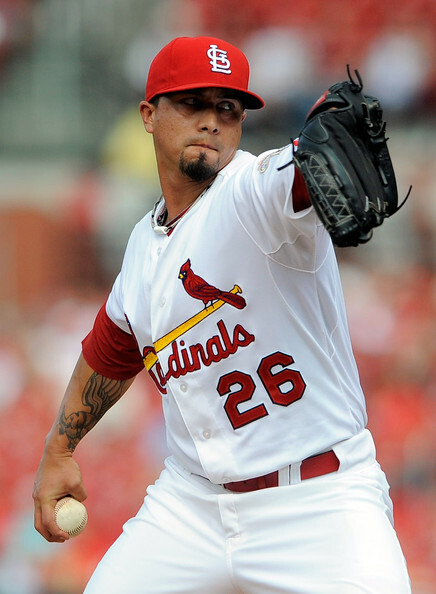 2012 was a career year for the Cardinals’ RHP Kyle Lohse. At Age 34, Lohse has become one of the most inconsistent pitchers in the game of baseball. Since making his debut in 2001 at 21 years old with the Minnesota Twins, Lohse has had some stellar years, and some not-so-great years. This includes a 2008 season – where he went 15-6 with a 3.78 ERA. He followed that great season with ugly 2009 finishing 6-10 while posting a 4.74 ERA. In 2012, Lohse turned back to his ace pitching ways. 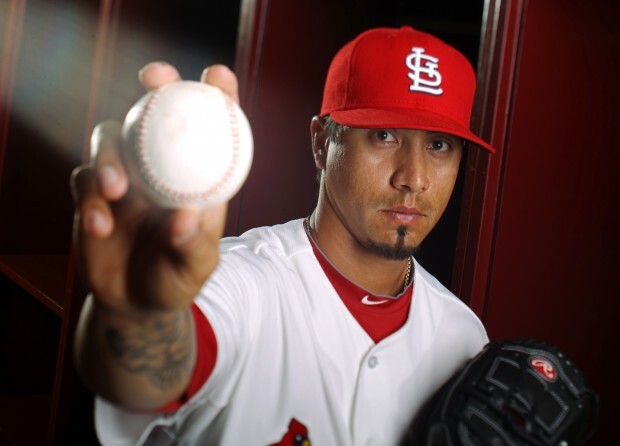 Coming off a solid 2011 season – with a 14-8 record, it didn’t look like Lohse could improve too much. He proved everyone wrong and pitched his way to a 16-3 record. His .842 W-L% lead the National League – while his 2.86 ERA wound up eighth in all of the Majors. Travis Hafner, Francisco Rodriguez, and Kyle Lohse have all shown that they can be above-average Major League players. However, with all three above the age of 30, teams are nervous to sign any of them to the multi-year contracts they want. Hafner has dealt with knee and back injuries over the past two seasons, but he still can bring power to an American League team in need of a DH. Francisco Rodriguez has always dealt with off the field issues, but he was very effective as Milwaukee’s set-up man in 2012. Kyle Lohse, who is coming off a season in which he posted a 3.51 FIP in 211, is the top free agent pitcher on the market right now but his age and inconsistency scares away possible suitors. Despite their age, inconsistency, and injuries, all three of these players could play a large role on MLB teams in 2013. 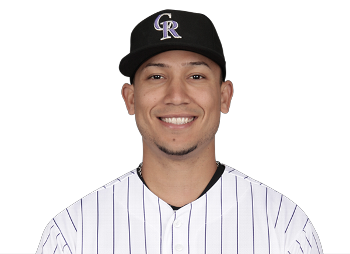 Today I tackle one of my favorite baseball points of discussion: Carlos Gonzalez – MLB Superstar or simply a product of Coors Field? Jake Dal Porto: There isn’t a single general manager is baseball that enjoys negotiating with Scott Boras, the man behind many of baseball’s top players. He usually gets his way when the final dominos fall, but he isn’t perfect. Edwin Jackson and Ryan Madson are two examples of Boras’s flawed work of late. Ryan Madson: A Free Agent Closer with no Job? MLB reports – Jonathan Hacohen: With the Winter Meetings at an end, players/teams/agents are left standing to look over the game of musical chairs and who is left standing. A particularly interesting position was closer- with more eligible players than open positions. In the past few weeks, we have seen many signings and trades in this area. 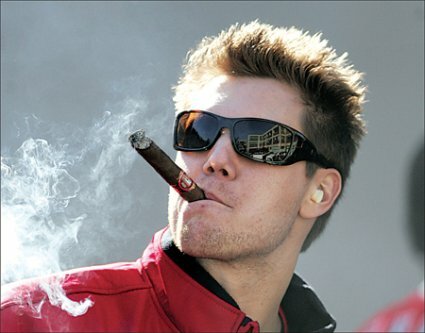 Jonathan Papelbon to the Phillies. Sergio Santos to the Blue Jays. Huston Street to the Padres. Francisco Rodriguez accepted arbitration from the Brewers. Heath Bell to the Marlins. Joe Nathan to the Rangers. 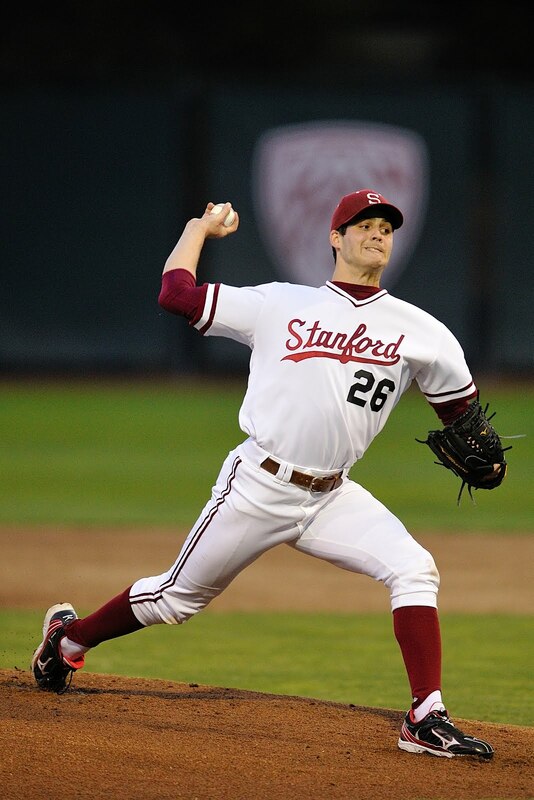 Andrew Bailey is openly being discussed in the trade market as leaving the A’s. Frank Francisco and Jon Rauch joined the Mets. As a result, one big name is left standing with no dance partner. Ryan Madson is still on the open market with few promising prospects ahead. As the story goes, Madson was supposed to re-sign with the Phillies. A reported 4-year, estimated $44 million contract was put on the table by the Phillies early in free agency. Player and agent (Scott Boras) happily accepted and a Philadelphia return was in order. Not so fast. There are conflicting stories on what transpired. Needless to say, there was never a firm deal in place and the Phillies moved quickly to sign the top closer on the free agent market, Jonathan Papelbon. Since then, there has been little discussion on Madson. 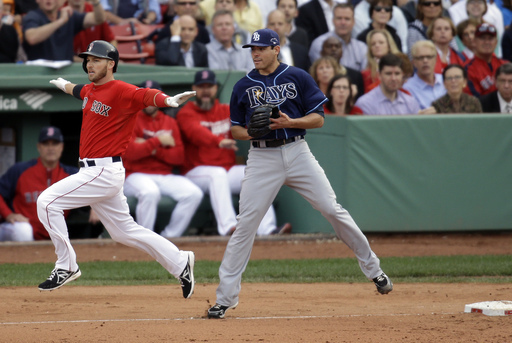 There have been reports throughout the process linking him to the Jays, Marlins and Red Sox. Well…the first 2 teams have filled their vacancies. The Red Sox have Daniel Bard as the incumbent set-up man who could get a look at the closing position- although he may end up in the rotation. Other than that, there seems to be little hope for Madson. Last night, Madson chose not to the K-Rod route and accept salary arbitration. As a result, he remains out in the market waiting for his next contract offer. Francisco Cordero is in the same boat, although he is still likely to go back to the Reds on a 1-2 year contract from the whispers around the league. But even if the Reds do not retain Cordero, it is unlikely that they will sign Madson- especially given the young players they still need to lock-up to extensions. So what other options exist for Madson? Perhaps the Orioles. Maybe the Rays. The options are getting bleak. This is one of the few times that you will see Scott Boras caught “with his pants down” so to speak. For an agent that is well known to be able to create and stimulate markets and demands for his clients, Boras has come up short for Madson. The perception is that the Phillies did what was best for them in signing Papelbon, which left Boras outraged and in a bind. With little to no teams looking for closers, Boras essentially only has the Red Sox to work with. At this point, he may need to take a 1-2 year deal for Madson, in the $7-10 million range to rebuild his value and try again on the open market in the future. A risky proposition, but with few options- Madson may have no other choice. I was actually quite surprised that Madson didn’t take the Phillies offer of arbitration. Based on his stellar 2011 numbers, he could have expected a strong 1-year contract at least. Now Boras and Madson are left to take their chances on the open market. For a closer with only 1 full year on the job, time is not on Madson’s side. 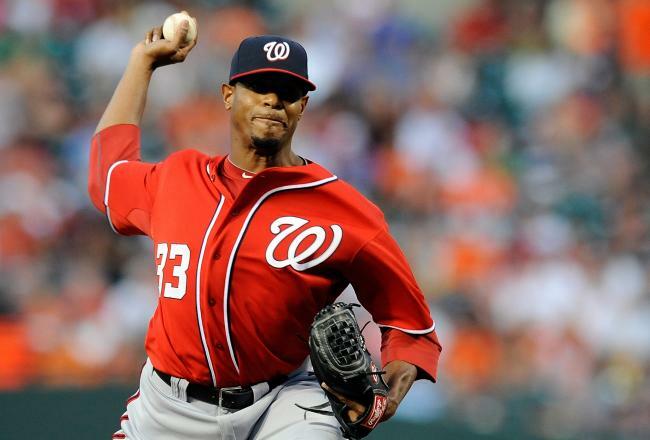 A proven closer like Francisco Cordero knows that he find a contract soon. Heck, even K-Rod knows that he just needs another solid season under his belt and his next deal will follow shortly after. Madson was in line for his first and only big payday this offseason. 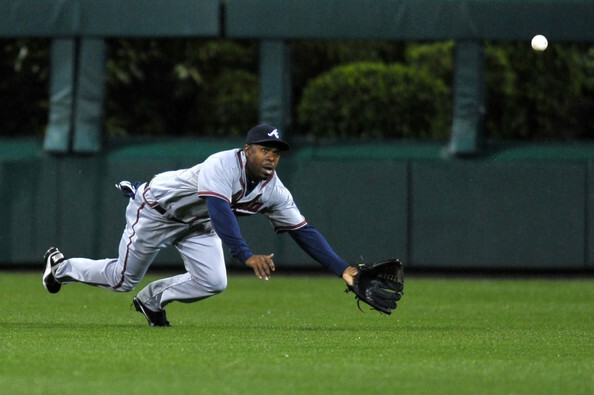 If he gets hurt or becomes ineffective in 2012, that dream vanishes. Scott Boras better work overtime to get the Red Sox biting on his closer client. Otherwise, it may not turn out to be a very Merry Christmas in the Madson household this year.